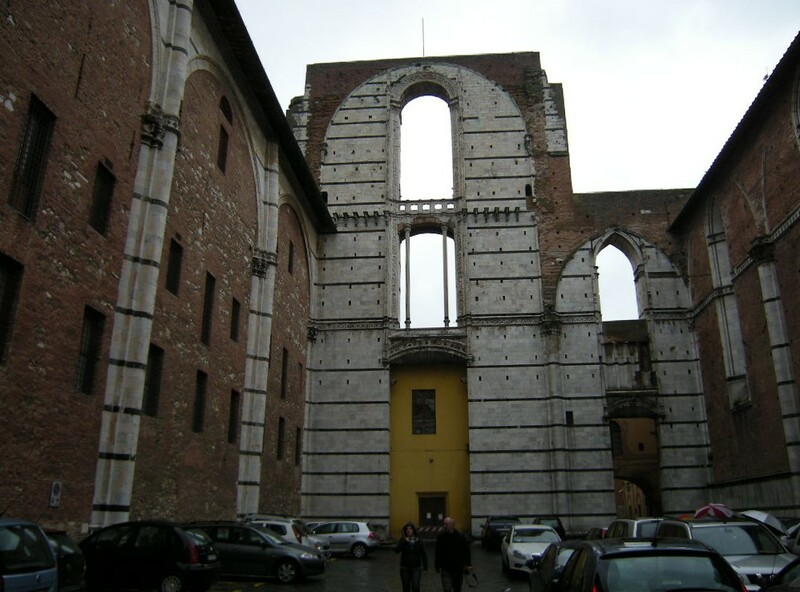 The photo above is the unfinished nave of Siena Cathedral; the Duomo. 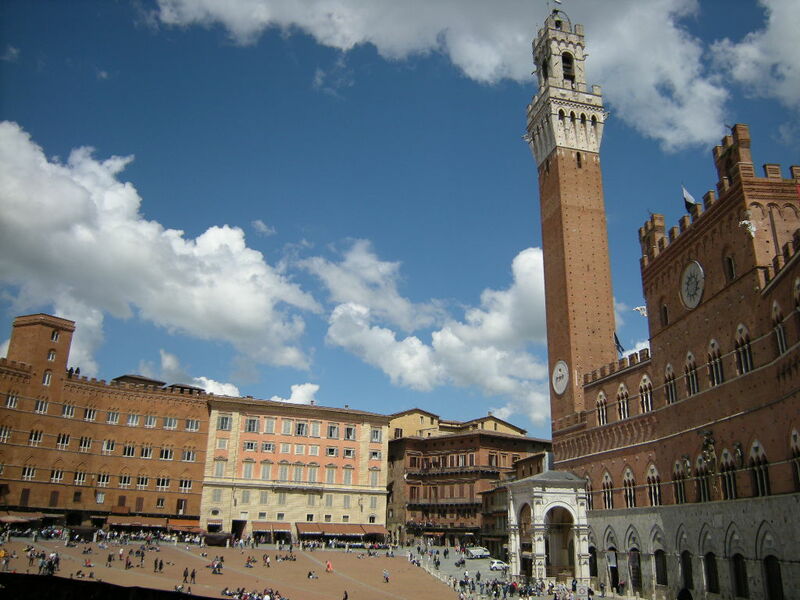 It is one of the most spectacular Gothic Cathedrals in Italy. 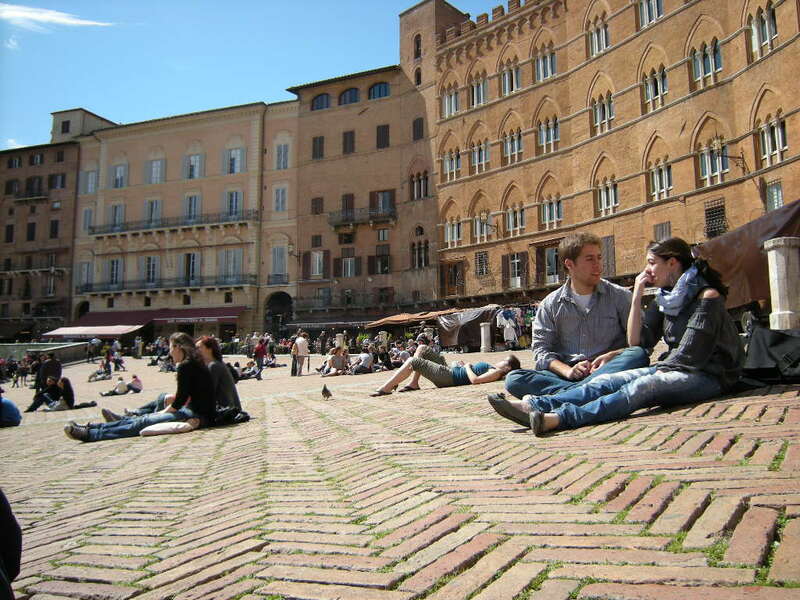 The ordinary citizens of Siena helped to cart the black and white stone used in its construction from quarries on the outskirts of the city. In 1339 the citizens decided to build a new nave to the south with the aim of making it the biggest church in Christendom. Alas it was not to be because plague killed off most of the population. Today its a carpark, but the initial stages of the nave were under construction. 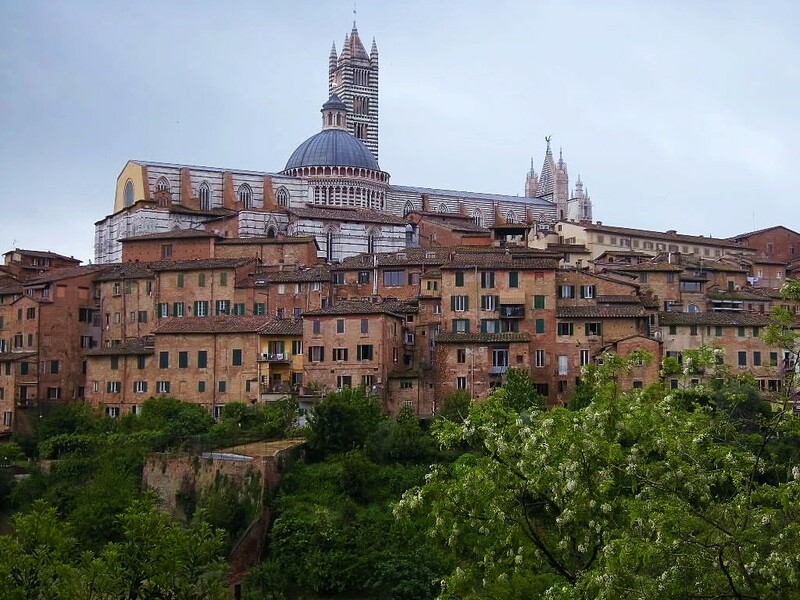 The Cathedral is perched high above Siena dwarfing the houses and buildings below it. That it was never finished holds an important lesson for us Christians. We’re all members of an unfinished Church. As God’s people we will never be quite perfect, at least not on this side of heaven. Ours will always be an incomplete church, striving towards perfection, but continually falling short like the incomplete nave of the Duomo. So often our cherished plans come to nothing, and in the end we die leaving so much unfinished. We are perpetually unfinished, and we all sense there is so much more to do, to learn, to accomplish and to become. Spiritually we are always beginners, never arriving, continually failing and having to start over again. 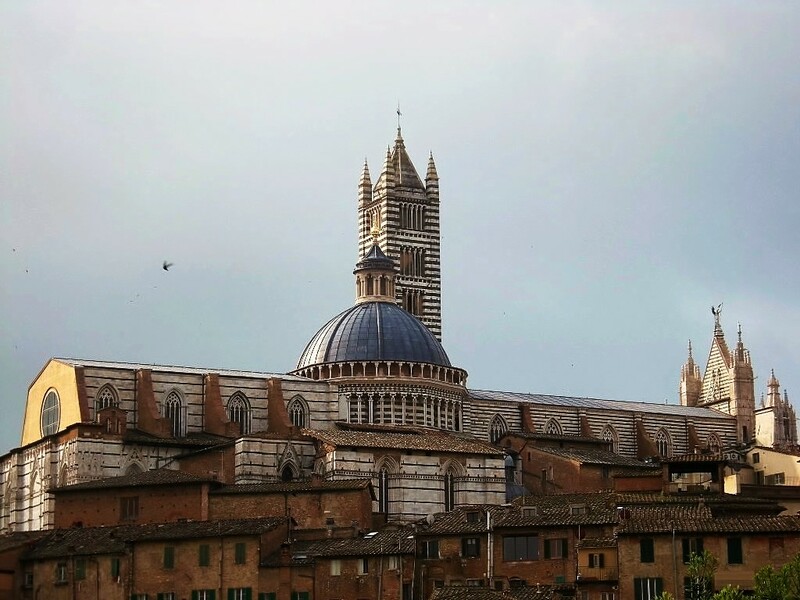 That great unfinished nave of Siena Cathedral symbolizes our incomplete lives that come to an end with so much left undone, unexplored and lacking. There’s a wonderful verse in St Paul’s Letter to the Philippians. Malcolm’s cements about Christian life is most appropriate for us all especially in this time of Lent. It is at this time when we reflect on our incompleteness, our failings, our lack of love for others. All this represents our lack of focus on the prize….eternal life with the Infinite Love—Jesus Christ. So how are we to persevere? By throwing off “every burden and sin that clings to us” (Hebrews 12:1). Our days are so often full of struggles. We feel tempted by sin on every side. Our children anger us, or we feel unhappy about our financial circumstances. Perhaps we are pressed to compromise our values by situations at work. These are the burdens and distractions that weigh us down and keep our eyes fixed on our problems and not on Jesus. If we continue to do this, our problems can even lead us to sinful ways of dealing with them — overeating, outbursts of anger, even marital infidelity. If it seems impossible, remember that Jesus not only gives us faith, he perfects it as well. So it doesn’t all depend on you! Yes, you have battles to fight. But remember that Christ is in you. Remember that he has grace stored up just for you, grace that will help you in every situation you have to face. Christian perseverance is not a matter of struggling along by ourselves and hoping we make it. It is a matter of abiding in Christ and letting him fight alongside you. It is a matter of joining with other Christian men and letting him fight alongside you. It is a matter of persevering in prayer. And most importantly, it is a matter of pressing on with our eyes fixed on obtaining the highest and most glorious crown possible— eternal life with Jesus Christ himself! Then one day we too can say these words of St. Paul: “I have fought the good fight, I have finished the race, I have kept the faith” (2 Timothy 4:7). Our prayers can and should be made in communion with those alive in the Church Triumphant and the Church Suffering. For those who believe in the True Presence what better way than to breakfast on The Bread of Life. Excellent article David, for which many thanks. Excellent article Malcolm, the photos tied the article together. To continue to believe in God during the plague is truly a remarkable faith. I agree with you Tom regarding the Dark Ages. A year or so ago there was an extremely good programme on BBC 4 showing clearly that the Dark Ages were an Age of light. Thanks to you all. Its good to look in from time to time and be in touch.